BreastCancer.org has breaking news about current breast cancer research. 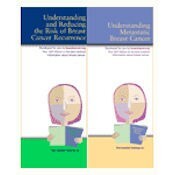 News articles provided by MedPage Today with commentary from our Breastcancer.org experts. To start your request click on the appropriate country and select your FREE booklets and/or brochures and complete your details. International requests may take up to six weeks to arrive.